Only $299.99 for a LIMITED time! Great for long-term, outdoor signage too! This special combo includes 1 ORAJET 3751GRA Wrapping Cast Film with RapidAir Technology 54" x 25 Yd Roll & 1 ORAGUARD 290G-54 Premium Cast PVC Laminating Film 54" x 25 Yd Roll. CLICK HERE to go to the product page for all the details. 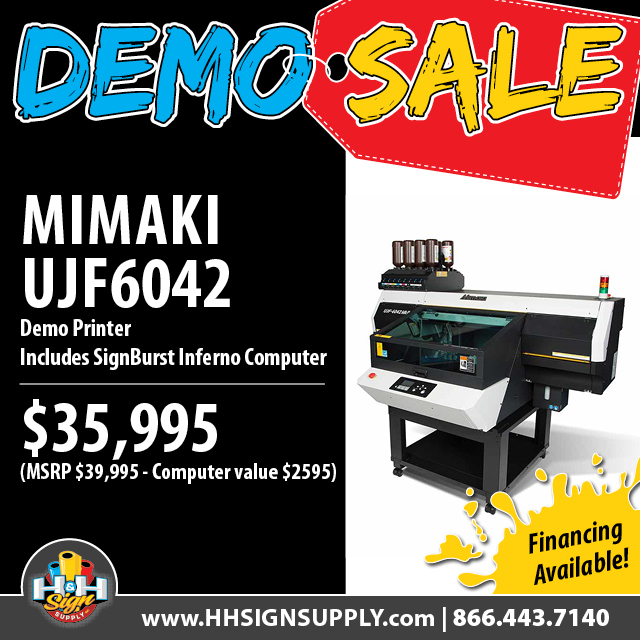 We are selling Demo Equipment at HUGE SAVINGS! Financing is available. Items are Pick-Up only. Call us with questions. Whether you're a professional graphic artist who needs vinyl sign making supplies or you're a crafter with a big project, H&H Sign Supply can fulfill your needs for inkjet printable vinyl, wide format printers, sign blanks and stakes, banners, cutters and so much more. We offer affordable prices on a wide variety of vinyl sizes, and our helpful staff are here to help you get the most out of your vinyl sign supply purchase. You'll find the most trusted sign supply manufacturers represented here, including Oracal, Mimaki, 3M, FDC, Rapid Tac, RTape, Griff., Magnum Magnetics, and Siser, among others. Besides high quality vinyl in a myriad of different styles and sizes, we also carry the heat presses, heat transfer vinyl material, printers and other equipment you need to get the job done right. Because we know that sometimes time is of the essence with a certain project, we are usually able to offer same day shipping for orders placed before 1:00 PM EST (excluding Monday) on items that are in stock, and we have extensive one-day and two-day ground shipping zones. A Rush Processing option is available at check-out for $5.99. If you have questions about any of our products or how to use them, our helpful staff members are always happy to help. We also have a whole section of our website devoted to tutorial videos, demos and tips to help you achieve a bubble-free vinyl application and the look you're going for. 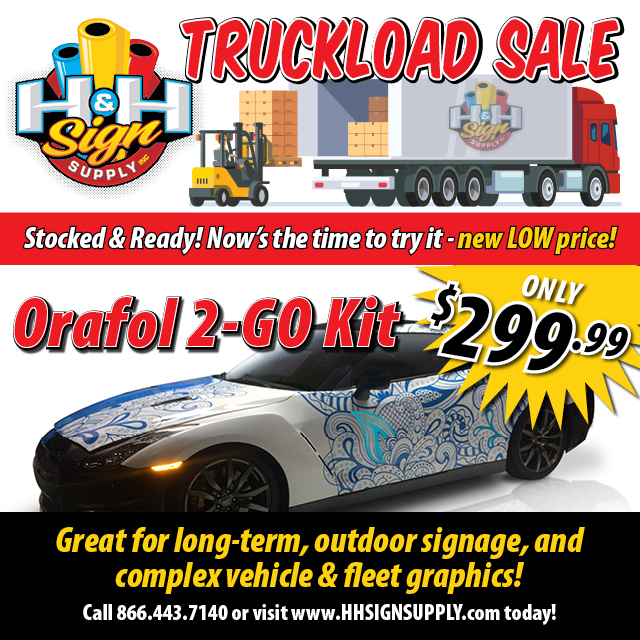 So if you're serious about creating high quality signs, but want to use affordable vinyl sign supplies, place your order today with H&H Sign Supply. 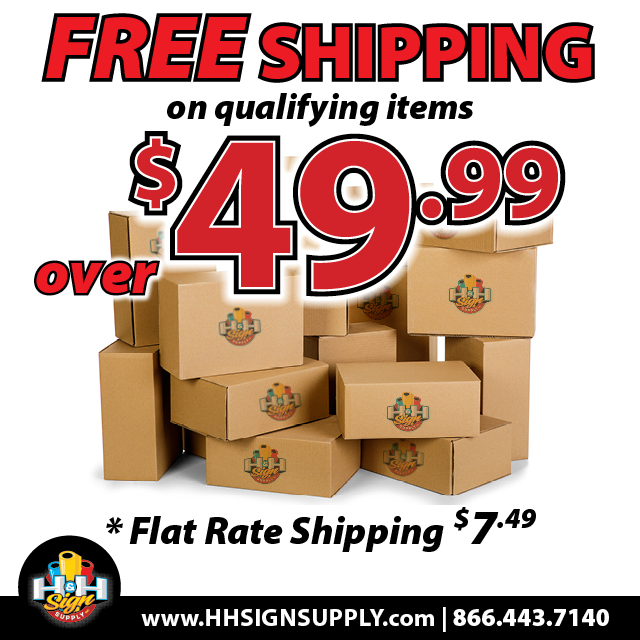 We even have a Best Price Guarantee on certain products, so shop with us and know that you're getting the best sign supplies at the best price.